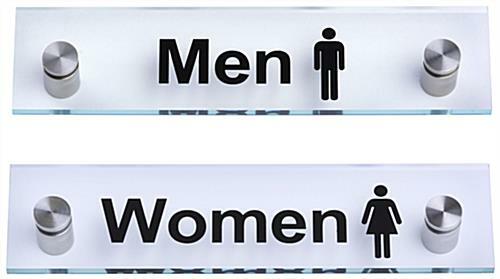 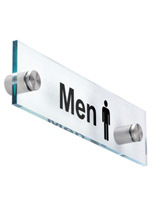 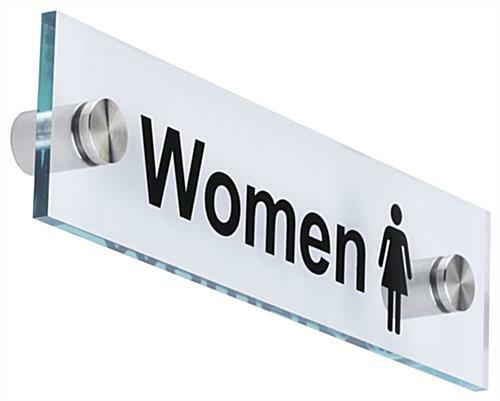 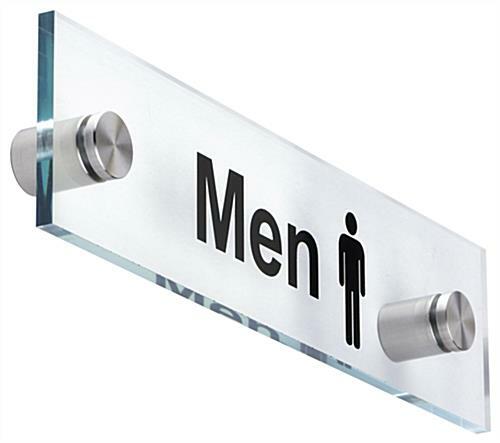 These men and women restroom signs are great for any business because they have prominent black lettering and male and female symbols. 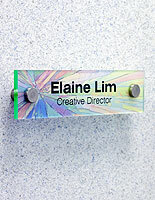 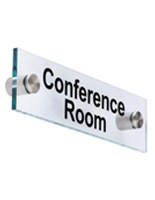 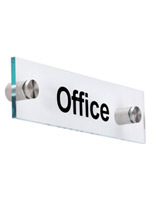 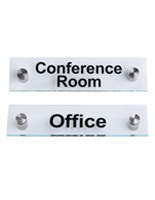 The title signage consists of a pre-printed acrylic plate with two silver standoffs. 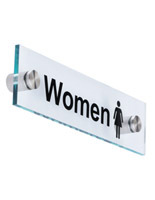 In addition, the restroom signs with black messaging are mounted to walls and they stick out 0.75" from the surface. 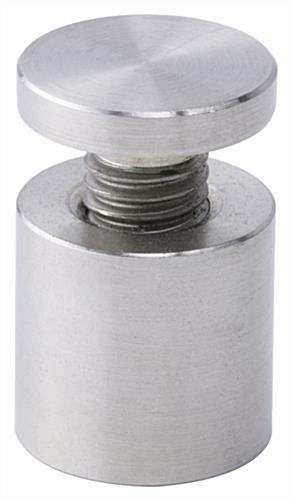 Each of the silver standoffs included with the package measures 1" in diameter and their sleek finish addes to the title display's appearance. 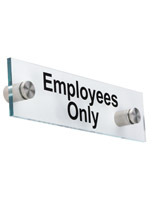 The signs for any business can be mounted to either walls or doors.